Here, you can see ATS placing the asphalt mat with low gyration (65 gyration) mix. We all know that in our industry, what works for one climate may not work for another, and low gyration mix designs are no exception. 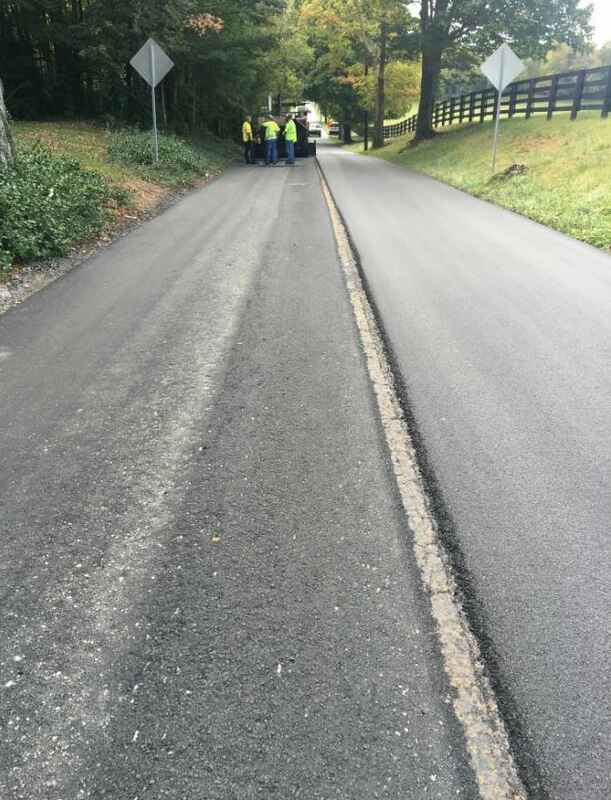 So, in October 2017, KYTC decided to perform a pavement durability test section along U.S. 62 in Woodford County, between U.S. 60 and Old Frankfort Pike. The 3,660-ton, 4.3-lane-mile project consisted of a 1-inch lift of a low gyration (65 gyrations) mix with a higher asphalt content and a lower air void content than a typical mix design. The laboratory technician collects a test sample for KYTC to check volumetrics. 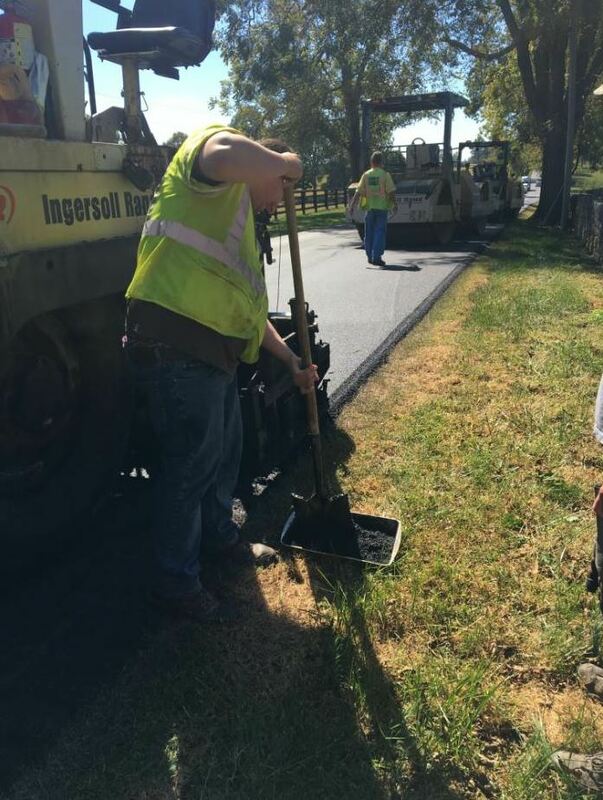 The roller used on the asphalt mat was an Ingersoll Rand DD-110 HF with a low amplitude and high frequency. The static weight of the roller was 11.48 tons. A low gyration mix like the one used on the U.S. 62 job, seen here, is designed to require less effort to achieve compaction. So, ATS’s QC/QA Manager, Howard Meade, began developing a low gyration mix design for the pilot project that was then approved by KYTC. 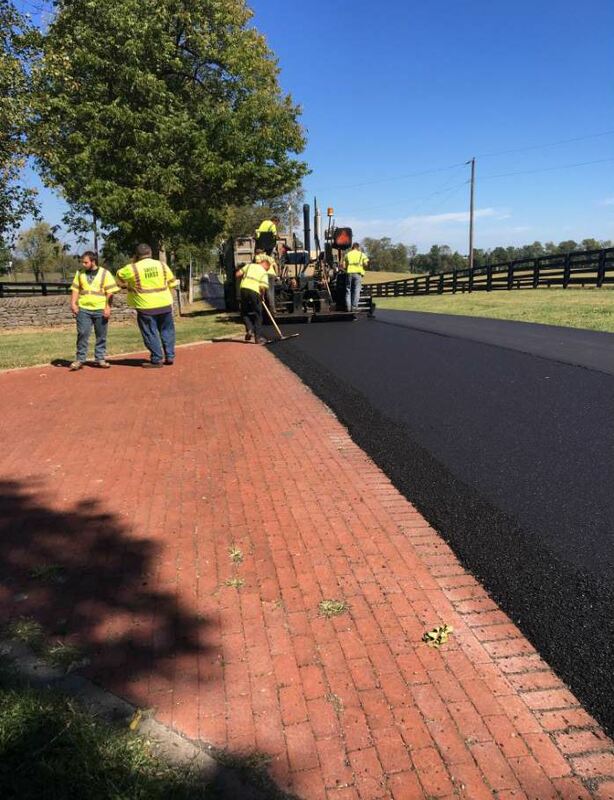 A portion of the project had trackless tack sprayed on the joint prior to paving the second pass. In this photo, you can see the surface and joint prior to the application of the tack. What they landed on was a 65 gyration mix with two-tenths percent more asphalt content, as well as fewer air voids compared to traditional hot mix. KYTC’s target air voids for normal hot mix is 4 percent, whereas this mix is designed to have target air voids between 3 and 3.5 percent. 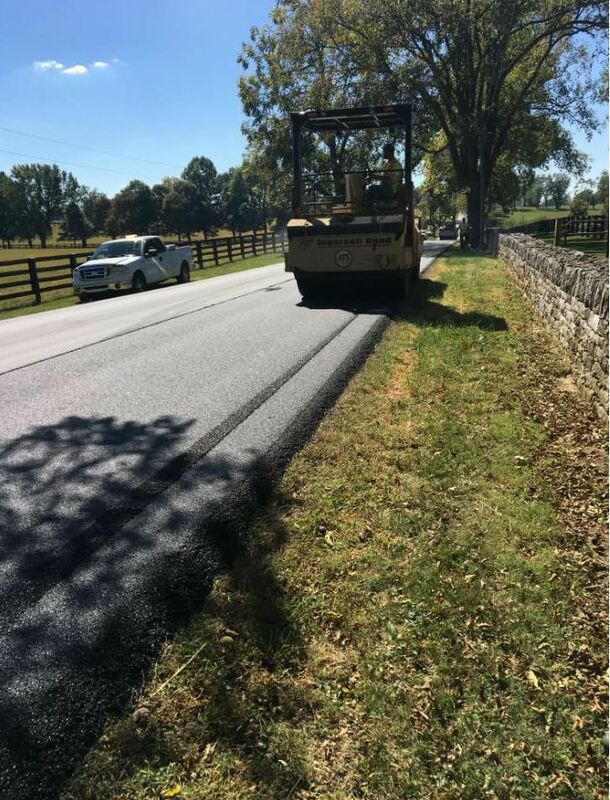 “Whenever you increase the asphalt content for added durability, you’re going to lower the air voids because there just isn’t as much space for air,” Semones said. In the end, the CL3 0.38D surface mix contained 5.9 percent AC (PG58-28 virgin binder), 2.8 percent air voids, 20 percent RAP and 15.7 percent voids in mineral aggregate (VMA) with 55 percent material passing the #8 sieve. After the mix design specifications were met, ATS delivered the mix to the job site. However, the real proof will be the new mix’s performance over time. KYTC plans to inspect the roadway every three months for at least the next three years, if not longer. Although the job was a great fit for the project, one downfall is that the roadway doesn’t have the same equivalent single axle loading (ESAL) counts as the NCAT test track. 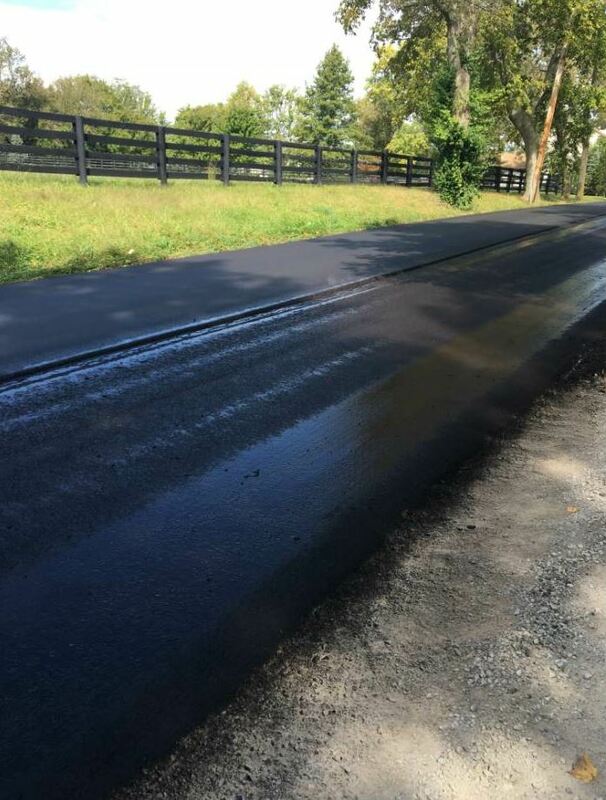 ATS used a trackless tack product from Blacklidge Emulsions throughout the project. “It breaks in 10 to 15 minutes, so that means the crew can work very efficiently, therefore saving time and money,” Semones said. “If it looks like it works well, we’ll try to introduce it in other parts of the state—maybe even on higher volume roadways,” Semones said. Another goal of the project was to take a closer look at the construction of the longitudinal joint. “We’ve been having a lot of trouble with our longitudinal joints quickly deteriorating over the past few years,” Semones said. They tested out a new method of constructing the joint. On one section of the job, the joint was constructed in the traditional method of butting up the joint to the mat placed the previous day. On another section, they applied trackless tack to the joint before laying the second pass a few minutes later. “Our theory behind that is that when the trackless tack cures, it’ll bond the joint between the two mats together and help keep the water out,” Semones said.